There are two ways to make chili these days. One is the hours-long method of slow cooking it, which naturally results in tons of flavor and spice. The other is the quicker, on-the-go method when you’re short on time, an option which can definitely sacrifice some of the aforementioned flavors. The best way to spice up your chili when you’re in a rush is to simply substitute fresh Mexican chorizo for the meat list in your chosen recipe. 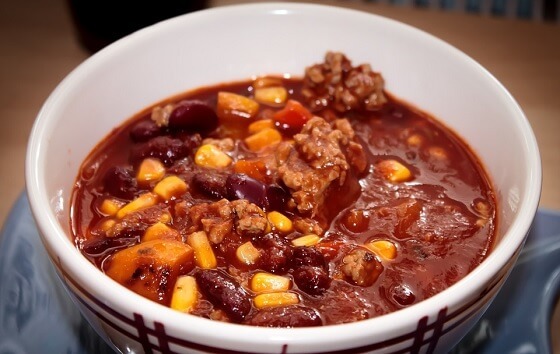 This simple little ingredient swap makes for a wonderfully seasoned chili without a lengthy cook time, adding a little tang and heat in the process. Enjoy!